Virgin America runs a frequent flyer scheme, called Elevate. It is an exceptionally simple and basic frequent flyer scheme: there are no elite status levels or tiers, no complementary upgrades, no complicated earning charts: even the partners you can earn miles on are reduced to a grand total of two. The frequent flyer scheme has no alliances, and no real benefit in joining unless you live in the US and plan to fly Virgin America a lot. There are much better schemes for non-US residents to join who fly on Virgin America intermittently. Get ready for it: you earn Virgin America Elevate points according to how many dollars you spend. At that's it. There are five points earned per US dollar spent on Virgin America travel. Remember though that this is for your ticket: if you buy an upgrade you will only get the points for the original flight, not the upgrade (although it is a much cheaper way to fly in First: see the Tips section). Points never expire, unlike in many programmes. You also earn Virgin America points on Virgin America's two long-haul sister airlines. Elevate make much of the fact that there are no blackout dates for their rewards. Well, that may be true, but some of the redemptions are astounding expensive. It is also hard to find out how much a Virgin America flight is going to cost you: there is no handy chart on the Virgin website. Instead, you need to say where you want to go, and it'll come up with a cost on the day. You can earn Virgin America Elevate points on Virgin Atlantic. 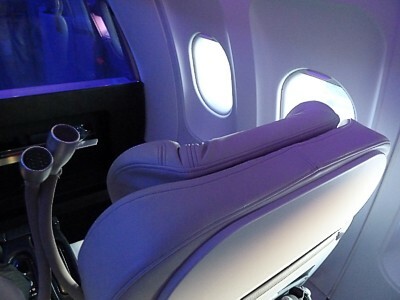 It must be said that Elevate miles earning on Virgin Atlantic is pretty poor, with only 20% of miles for basic economy, and even business class earns only 60%. The moral is clear: if you want to earn miles on Virgin Atlantic, don't put them on Elevate. You also earn Elevate points on Virgin Australia domestic and international and the slightly offbeat Virgin Samoa.